In this set up, imagine that we have two circuits. 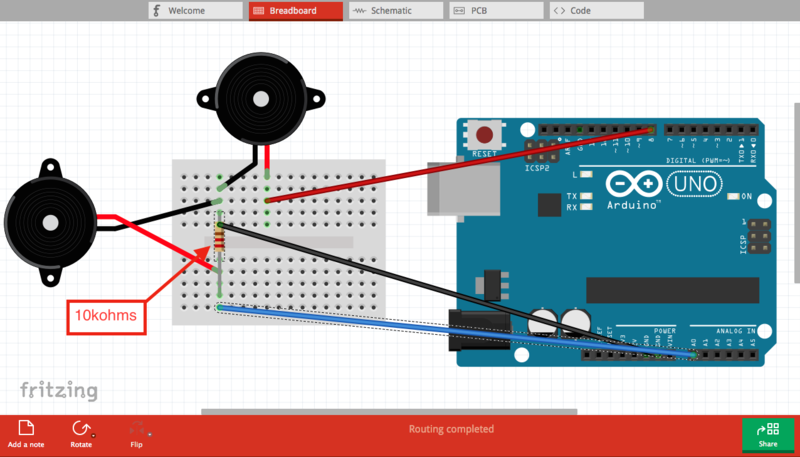 Both start and end at the Arduino. What's incredible about piezo elements is that they can operate as input sensors or output elements to create tones. So first, we want to gain input from the first piezo. 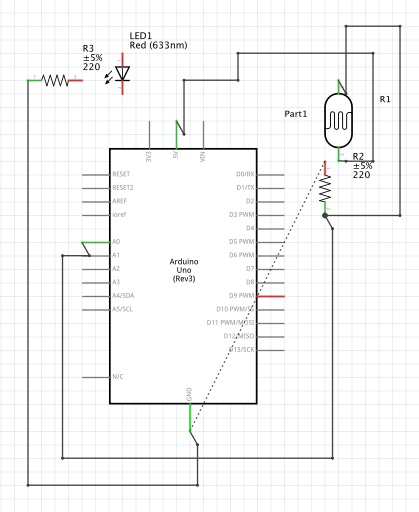 Connect a jumper cable from analog input 0 (A0) to the breadboard. 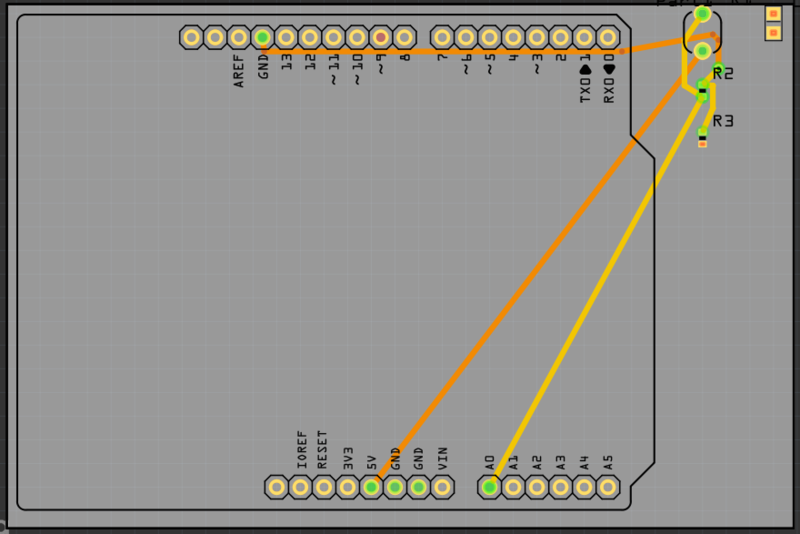 Then connect a resistor from that same row to a different row. Then in the same row as the A0 jumper cable and the gold end of the resistor, connect the red wire of your piezo element. Then in the other row of your resistor, connect the black wire of your piezo. Finally, take a second jumper cable and connect it back to ground (GND) of your Arduino. This is everything you need to sense the knock. You can have more elements connected than your code requires and nothing will happen as long as all of your circuits are closed. For output, we will also be using the second analog piezo element. When you send electricity through a piezo, it vibrates at certain frequencies which produces tones. To reduce the amount of current, we will be using one resistor. Resistors reduce current flow and lower voltage. The amount of resistance provided is color coded. 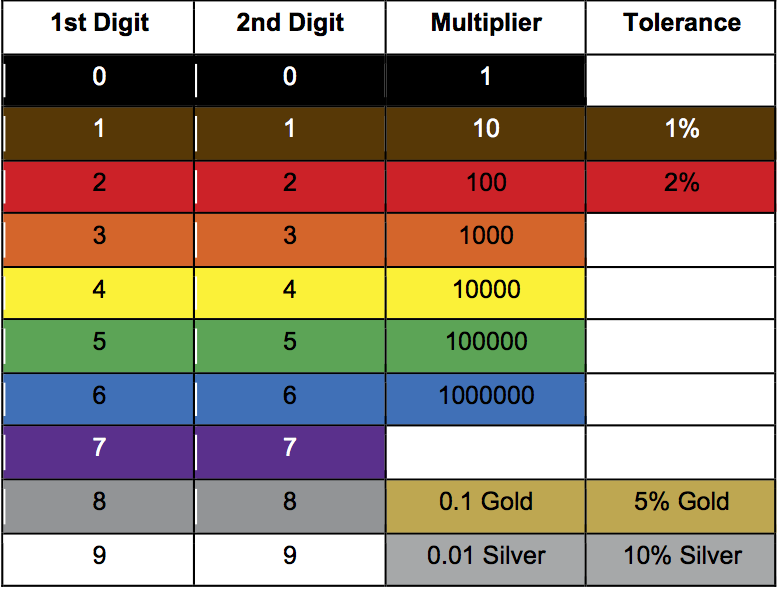 Look at the resistor we have provided you, and use the color chart below to determine resistance. To read more about resistors, check out https://learn.sparkfun.com/tutorials/resistors .